Greece is a country with a tradition in both beautiful classic and electronic music, so there’s no surprise these two not only meet, but fit so well in “Open Horizon” by Sakis Gouzonis. Born in Thessaloniki, but currently based in Elassona, Sakis is a composer, orchestrator, producer and live performer of electronic music with an already extensive discography of 11 studio albums. 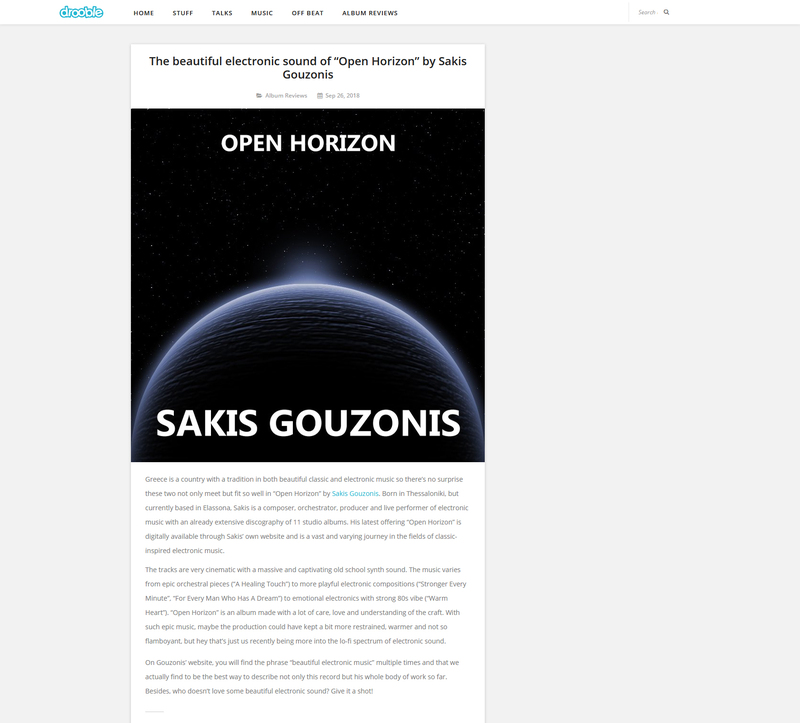 His latest offering “Open Horizon” is digitally available through Sakis’ own website, and is a vast and varying journey in the fields of classic-inspired electronic music. The tracks are very cinematic with a massive and captivating old-school synth sound. The music varies from epic orchestral pieces (“A Healing Touch”) to more playful electronic compositions (“Stronger Every Minute”, “For Every Man Who Has A Dream”) to emotional electronics with strong 80s vibe (“Warm Hearts”). “Open Horizon” is an album made with a lot of care, love and understanding of the craft. With such epic music, maybe the production could have been kept a bit more restrained, warmer and not so flamboyant, but, hey, that’s just us recently being more into the lo-fi spectrum of electronic sound. On Gouzonis’ website, you will find the phrase “beautiful electronic music” multiple times, and that we actually find to be the best way to describe not only this record, but his whole body of work so far. Besides, who doesn’t love some beautiful electronic sound? Give it a shot! Over the past few years, multi-award winning Greek composer, orchestrator, arranger, producer and performer of electronic music, Sakis Gouzonis has made that comfortable middle ground between the rooted traditions of Western liturgical music and rampant New Age spirituality his very own. He is an underground musical messiah whom the laymen of this movement have claimed as their very own; a contemporary composer who is neither as daunting as Beethoven nor as high-brow as Mozart, yet more earthly than Bach and less ethereal than Chopin. He is in line with the cinematic music making gods of our time – James Horner, John Williams, Yanni, Vangelis, Jean-Michel Jarre, Alan Silvestri and Danny Elfman. The past few years saw a wealth of new Sakis’s instrumentals – nine albums in all. 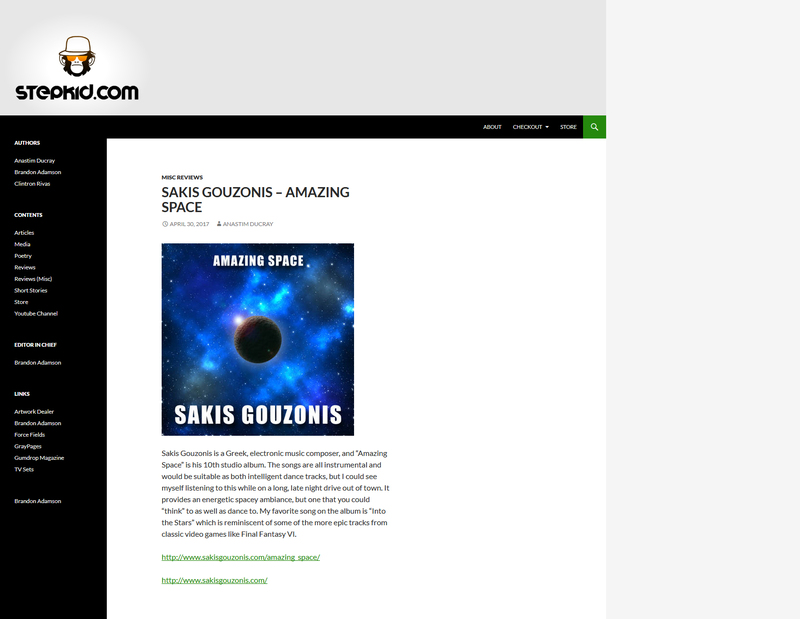 Sakis Gouzonis’s 10th studio album “Amazing Space” does a phenomenal job of documenting the composer’s artistic growth without necessarily abandoning his comfortable, and at times adventurous, brand of modal, consonant neo-instrumentals. As far as contemporary New Age music goes, the sweeping orchestral arrangements and electronic sound programming that form the brunt of this record serves to remind that one can always be inspired by the past when trying to construct the future. In fact, on several numbers Sakis explores the extent of human auditory sensory perception, using it as fertile ground for stylistic exploration and melodic tinkering. 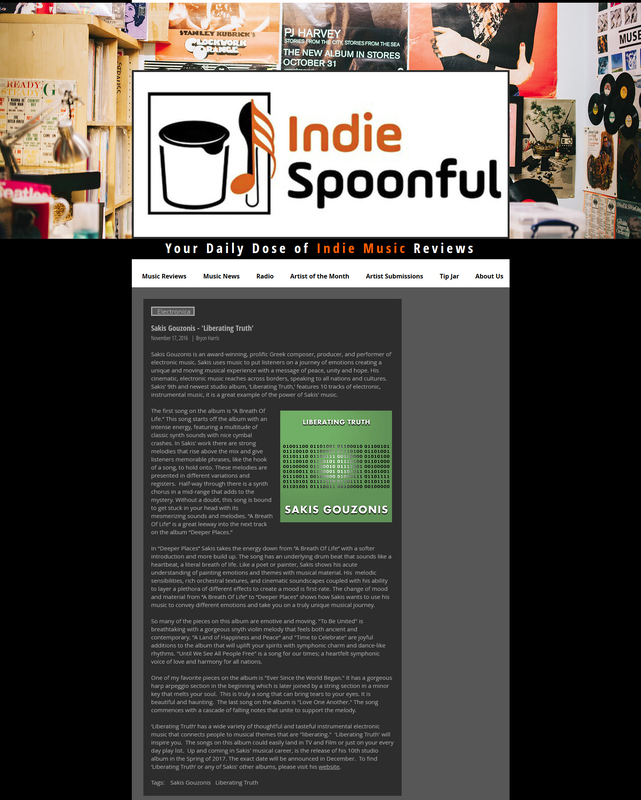 Most successfully, he uses a rich mélange of sound design and acoustic sensibilities to derive a final concoction that manages to be delightfully easy on the ear. On the album-opening title track – “Quest For Peace and Progress”– for example, he employs a lush melodic progression across a bed of thumping bass work, with predictably pleasant results. The haunting melody on “Into The Stars” which follows utilizes a similarly pedantic approach, but the underlying message of poignancy is terribly difficult to ignore, and when the upbeat music finally slows to a halt a part of oneself always seems to disappear along with it. In the past, Sakis the man has always sought to ensure that Sakis the musician would always be seen as a purveyor of accessible contemporary instrumentals; that stance has not changed here. Indeed, songs like “Mystic Power” and “Until The Sun Is Up Again” that use luscious classical and cinematic arrangements sweep the necessity for cultural prerequisites under the proverbial carpet, making the bulk of the album a significantly less daunting undertaking for the average listener. Yet the best tracks on the record are the more brazen interpretations. On “Zone Of Truth”, Sakis taps into the power of a vehement bass groove, while the visceral bass line that runs through “X Is Waiting For Us’” veins is uncharacteristically bossy by Sakis’ standards, yet shrewdly manages to ride its collage of scattered beats to victory. To decide which moment in the album is truly the best would be impossible. Could it be the fully orchestrated mid-tempo ballad “Hope In The Dark”? Maybe the complete choral tangent in “Very Gently” or the steady almost tango-like progression of “Knight Of The Light”? Finally, the opening moments of “All Is One And One Is All” are surreal. Most of the success of Sakis Gouzonis’s music hinges on the creator himself. When you listen to the actual performances, much of the time is spent zeroing in on Sakis, capturing the passion he has for his own music. You can truly tell how immersed he is, how much he feels the music as it plays along. It’s important to note that he is a self-taught composer. This music is his child, his creation. He is closer to his music than the vast majority of us could even imagine being. Sakis Gouzonis is a Greek, electronic music composer, and “Amazing Space” is his 10th studio album. The songs are all instrumental and would be suitable as both intelligent dance tracks, but I could see myself listening to this while on a long, late night drive out of town. It provides an energetic spacey ambiance, but one that you could “think” to as well as dance to. My favorite song on the album is “Into the Stars” which is reminiscent of some of the more epic tracks from classic video games like Final Fantasy VI. Inspired by some of the best and most influential electronic music producers, Sakis Gouzonis creates unique and unpredictable electronic music with a unique approach. His recent album is titled “Amazing Space”, and it features classic influences, with a modern approach. Imagine the retro synth goodness of Vangelis, with the sonic textures of artists such as Jon Hopkins or Jean-Michel Jarre, just to mention a few. Sakis has an amazing way to layer sounds and build cool sonic landscapes based on his ability to create synergy between different sounds, melodies and beats. 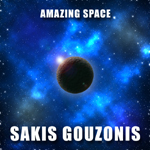 Quite the prolific artist, Sakis managed to reach a truly amazing milestone in his music career, as “Amazing Space” is actually the 10th studio album released by Sakis. This is even more amazing when you think that this talented Greek composer and producer set out to achieve such an accomplished discography by simply working on his own to make it happen, without the help and support of any record label! A true musical prodigy, Sakis connects with people from all over the world with his amazing music vibes, and his amazing collection of quality music keeps growing with each release! Sakis Gouzonis sculpts a unique aural universe on the classically-informed ambient sweeps of “Amazing Space”. Cinematic in scope, Sakis Gouzonis creates kaleidoscopic seas of sound with multiple layers interacting in glorious ways. Melodically rich, Sakis Gouzonis utilizes light grooves to help drive the sound ever forward. The way that the sound seemingly soars into the sky feels full of hope. By choosing such a sound, Sakis Gouzonis creates a truly immersive world, one that feels quite colorful as the colors collide into vast symphonic seas. Nicely opening the album is the powerful work of “Quest For Peace And Progress”. Within this song Sakis Gouzonis sets the tone for what is to follow. Great fanfare defines the triumphant “Into The Stars”. More reflective in tone is the spirited “Mystic Power”. Choosing an interesting intersection of IDM and video game soundtracks in the regal “Until The Sun Is Up Again”. Reminiscent of some of Add N to (X)’s analog explorations is “X Is Waiting For Us” where Sakis Gouzonis does particularly fine work in creating an unspoken narrative. Ever so gentle with its rocking back and forth is the lullaby of “Very Gently”. Beats gain great importance on the percussive scope of “Knight Of The Light”. Ending the album on a beautiful note is the delicate arrangement of “All Is One And One Is All”. A truly inspiring celebratory experience, Sakis Gouzonis delivers a series of soundscapes that feel so vivid and real with “Amazing Space”. Sakis Gouzonis is an award-winning, prolific Greek composer, producer and performer of electronic music. Sakis uses music to put listeners on a journey of emotions, creating a unique and moving musical experience with a message of peace, unity and hope. His cinematic, electronic music reaches across borders, speaking to all nations and cultures. Sakis’ 9th and newest studio album, ‘Liberating Truth,’ features 10 tracks of electronic, instrumental music; it is a great example of the power of Sakis’ music. In “Deeper Places” Sakis takes the energy down from “A Breath Of Life” with a softer introduction and more build up. The song has an underlying drum beat that sounds like a heartbeat, a literal breath of life. Like a poet or painter, Sakis shows his acute understanding of painting emotions and themes with musical material. His melodic sensibilities, rich orchestral textures and cinematic soundscapes coupled with his ability to layer a plethora of different effects to create a mood is first-rate. The change of mood and material from “A Breath Of Life” to “Deeper Places” shows how Sakis wants to use his music to convey different emotions and take you on a truly unique musical journey. So many of the pieces on this album are emotive and moving. “To Be United” is breathtaking with a gorgeous synth violin melody that feels both ancient and contemporary. “A Land Of Peace And Happiness” and “Time To Celebrate” are joyful additions to the album that will uplift your spirits with symphonic charm and dance-like rhythms. “Until We See All People Free” is a song for our times; a heartfelt symphonic voice of love and harmony for all nations. One of my favorite pieces on the album is “Ever Since The World Began.” It has a gorgeous harp arpeggio section in the beginning, which is later joined by a string section in a minor key that melts your soul. This is truly a song that can bring tears to your eyes. It is beautiful and haunting. The last song on the album is “Love One Another.” The song commences with a cascade of falling notes that unite to support the melody. ‘Liberating Truth’ has a wide variety of thoughtful and tasteful instrumental electronic music that connects people to musical themes that are "liberating." ‘Liberating Truth’ will inspire you. The songs on this album could easily land in TV and Film or just on your everyday playlist. Up and coming in Sakis’ musical career, is the release of his 10th studio album in the spring of 2017. The exact date will be announced in December. 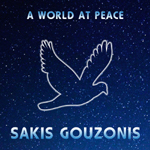 To find ‘Liberating Truth’ or any of Sakis’ other albums, please visit his website. 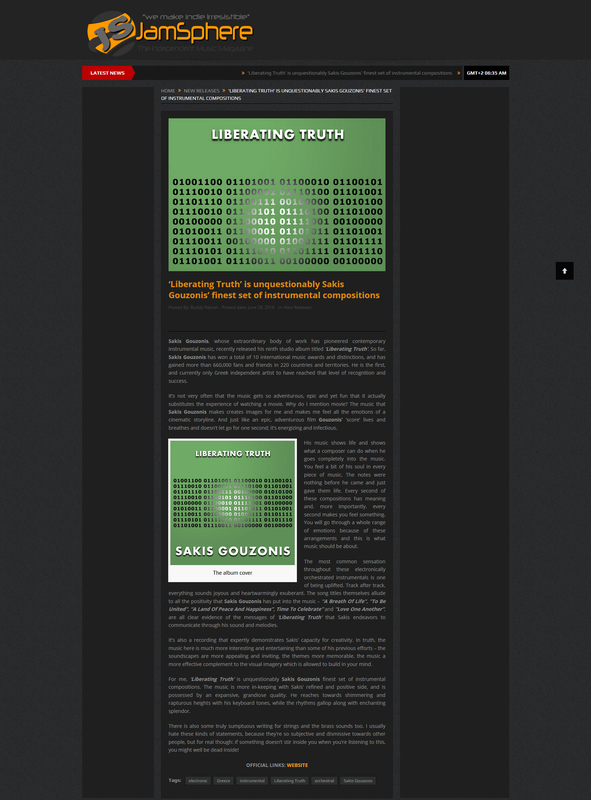 Sakis Gouzonis, whose extraordinary body of work has pioneered contemporary instrumental music, recently released his ninth studio album titled ‘Liberating Truth’. So far, Sakis Gouzonis has won a total of 10 international music awards and distinctions, and has gained more than 660,000 fans and friends in 220 countries and territories. He is the first, and currently only Greek independent artist to have reached that level of recognition and success. It’s not very often that the music gets so adventurous, epic and yet fun that it actually substitutes the experience of watching a movie. Why do I mention movie? The music that Sakis Gouzonis makes creates images for me and makes me feel all the emotions of a cinematic storyline. And just like an epic, adventurous film Gouzonis’ ‘score’ lives and breathes and doesn’t let go for one second; it’s energizing and infectious. His music shows life and shows what a composer can do when he goes completely into the music. You feel a bit of his soul in every piece of music. The notes were nothing before he came and just gave them life. Every second of these compositions has meaning and, more importantly, every second makes you feel something. You will go through a whole range of emotions because of these arrangements and this is what music should be about. The most common sensation throughout these electronically orchestrated instrumentals is one of being uplifted. Track after track, everything sounds joyous and heartwarmingly exuberant. The song titles themselves allude to all the positivity that Sakis Gouzonis has put into the music – “A Breath Of Life”, “To Be United”, “A Land Of Peace And Happiness”, “Time To Celebrate” and “Love One Another”, are all clear evidence of the messages of ‘Liberating Truth’ that Sakis endeavors to communicate through his sound and melodies. It’s also a recording that expertly demonstrates Sakis’ capacity for creativity. In truth, the music here is much more interesting and entertaining than some of his previous efforts – the soundscapes are more appealing and inviting, the themes more memorable, the music a more effective complement to the visual imagery which is allowed to build in your mind. 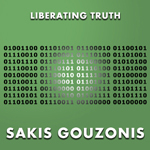 For me, ‘Liberating Truth’ is unquestionably Sakis Gouzonis’ finest set of instrumental compositions. The music is more in-keeping with Sakis’ refined and positive side, and is possessed by an expansive, grandiose quality. He reaches towards shimmering and rapturous heights with his keyboard tones, while the rhythms gallop along with enchanting splendor. There is also some truly sumptuous writing for strings and the brass sounds too. I usually hate these kinds of statements, because they’re so subjective and dismissive towards other people, but for real though: if something doesn’t stir inside you when you’re listening to this, you might well be dead inside! Liberating Truth opens up with a track that makes you feel as if you’re right in the centre of the action. The music has a primarily eighties-like sound to it, on an instrumental level – the synths and sounds and effects used are very reminiscent of the likes of Vangelis and Rick Wakeman, though it may take a while to notice the similarities. The music itself overpowers any judgment you may have, the way the melodies are performed is overwhelmingly effective; it transports you away from your now, it moves you, allows you to escape from the moment for a while. It feels, quite rightly, like A Breath of Life – an appropriately chosen title for the feelings the music brings up as you listen. It makes you excited to hear the rest of the project, keen to continue listening and build a bigger picture of the whole concept of Liberating Truth. Deeper Places has a much more manic and reflective feel to its ambiance. It now becomes clear how far the stories within this release stretch; the creativity is vast and hopeful. This track brings about a feel of peace, the synths have a lighter and gentler sound to them now – the music, the song, as it were, is indeed one of deeper places, but it doesn’t feel frightening or dark – it feels optimistic, though the urgency seems to increase slightly as you listen further. The notes get higher, lighter, perhaps edging more towards something crucial and moving. To Be United is a title that makes you form a prediction in your mind as to how the track will sound. Ideas of togetherness, perhaps politically, across the world, or maybe on a smaller scale. The track itself sounds beautiful, there’s a very light natured beat playing throughout, and once again the synths are gentle, merging the positive and the melancholy – in terms of the notes chosen. Overall, this is the point at which you realize there is that undeniable orchestral atmosphere to Sakis Gouzonis’ music. There is a consistent thread throughout these tracks, there is the underlying concept, but the power of the music is always that fusion of electronica and orchestral. The effect being such strength and musical artistry, that the individual instruments almost become forgotten at times – it’s music to lose yourself within, and that gives it so much power. To Be United has a feeling of marching to it, the massiveness of an army, perhaps, or a nation coming together. It sounds important, and big, not some minor issue. A Land of Peace and Happiness builds on this idea of togetherness further, the idea of oneness, that idea of peace – a huge theme expressed consistently throughout the tracks on Liberating Truth. There is so much hope in the music, regardless of whether or not you knew the title, the feelings it brings about as you listen are so very well suited to the assumed intention of the music. It suggests an experienced and highly creative artist and producer. Not concerned with anything but the art, and what needs to be said with it. There are some really unusual instrumental moments in this track, it almost sounds like there is a choir present at times, but it remains instrumental and electronic. It’s clever, and really interesting to experience. Then you get Time To Celebrate, which opens with these tremendously celebratory horns, immediately giving off a vibe of triumph, the overcoming of struggles, the moment of the win. The classic synth comes back in soon enough to keep that artist thread throughout the songs, but there is a whole lot that is new about this particular song. The moment is expressed quite brilliantly. Until We See All People Free continues the hopefulness, but now there is a sense of there being work to be done. The real challenge lies ahead, it seems, and as the title implies – you get the feeling there is a certain determination standing tall amongst all of this. A feeling of ‘we will not stop until’ – until freedom for all is found, reached, achieved. It’s a wonderful thing to express, particularly in such an artistic and dedicated manner. Across The Horizon is a beautiful piece of music, it feels like the penultimate moment of importance, the approaching edge of tomorrow. As mentioned, much of the music in this release has that similar feeling of pride and positivity. The final three tracks round things off superbly, it’s a time at which you know for certain just how much thought and effort has gone into the making and arranging of the music in this album. Ever Since The World Began is soft yet hugely thought provoking, and along with Refine Us All and Love One Another, the music here brings things to a close with great intrigue and hope – it somehow leaves you feeling very involved, very connected to the music and the ideas, and hopefully will send you off inspired to make whatever changes may need to be made in your own experience of life. The album is one worth experiencing in its entirety, for certain. Fans of orchestral or electronic music, fans of music that allows you to escape, reflect, learn, change the way you feel – this is absolutely something for you to listen to. There is a lot more music over on Sakis Gouzonis’ Website. Listen to the album Liberating Truth in full by clicking here. In the meantime, this is Across the Horizon. Cinematic in scope Sakis Gouzonis’s “Liberating Truth” sparkles with dazzling displays. The sweeping sound works wonders as Sakis Gouzonis’s attention to detail is astounding. Recalling early 90s chill out room music akin to KLF’s work the pieces feeling infinitely welcoming. Tying all of these pieces together is a quiet wordless narrative that reveals a sense of optimism in the world. Energy pours out of the album opener “A Breath Of Life”. With a gregorian like chant ever present throughout the piece Sakis Gouzonis creates a kaleidoscope of sound, with the many layers interacting to create a gorgeous soundscape. More introspective in tone is the nimble “Deeper Places”. Continuing down a calmer path is the delicate ambience of “To Be United” whose precise percussion feels so airy. Playful in tone is the joyous sound of “A Land Of Peace And Happiness”. Through and through the piece evolves ever so gradually, revealing ever greater displays of melodic flourishes. By far the highlight of the album is the colossal sound of “Until We See All People Free”. Celebratory in nature the small touches do great work as the sound expands showing off Sakis Gouzonis’s masterful skill in setting the atmosphere. With an almost dance like fervor is the soothing “Refine Us All”. Ending things off on a triumphant note is the tender nature of “Love One Another”. Full of light and color, Sakis Gouzonis’s “Liberating Truth” is a futuristic tour de force.